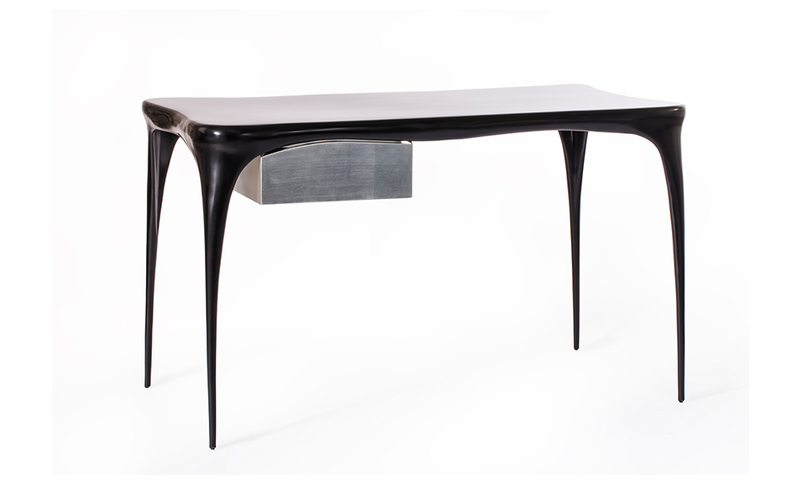 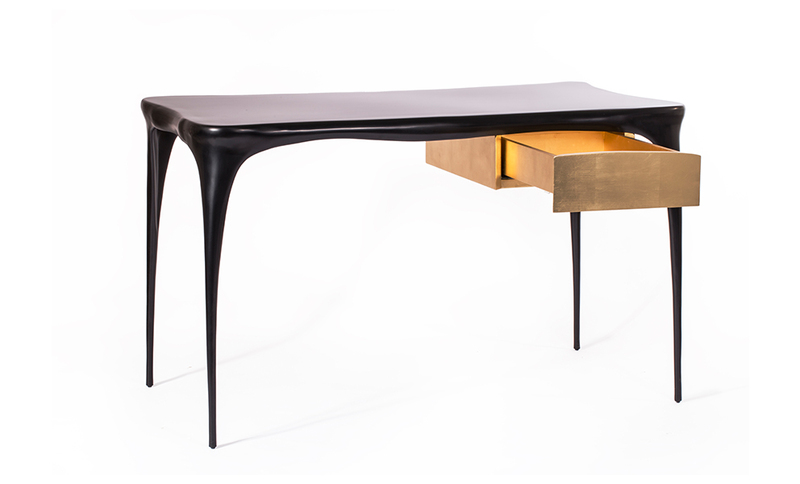 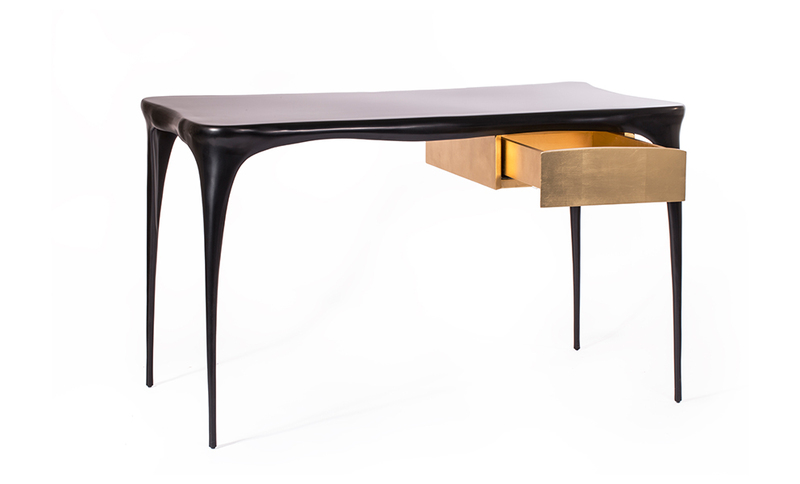 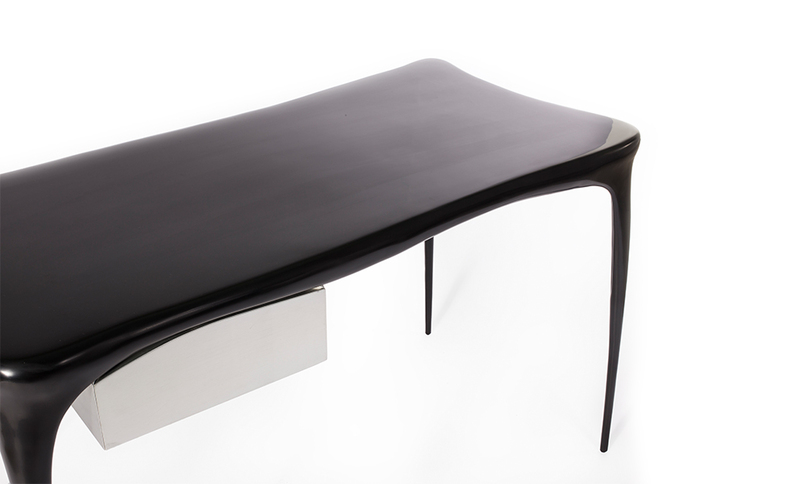 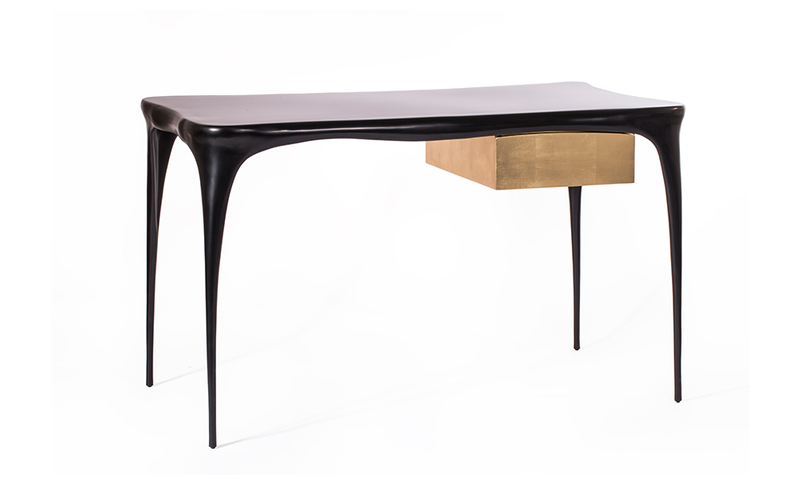 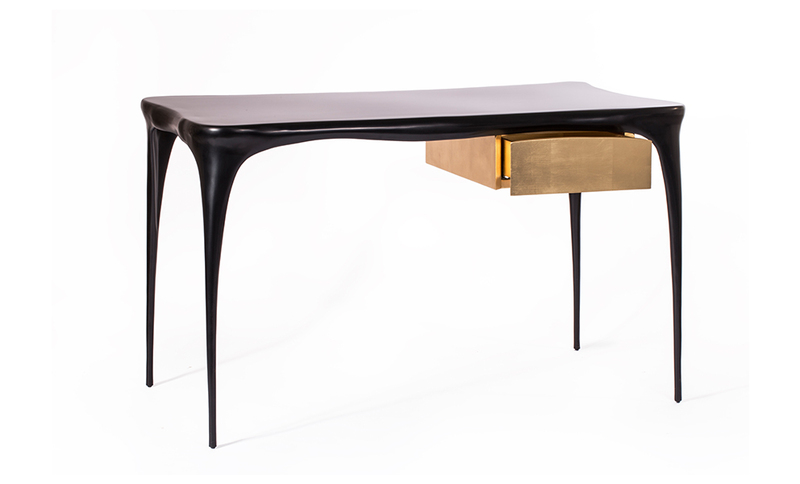 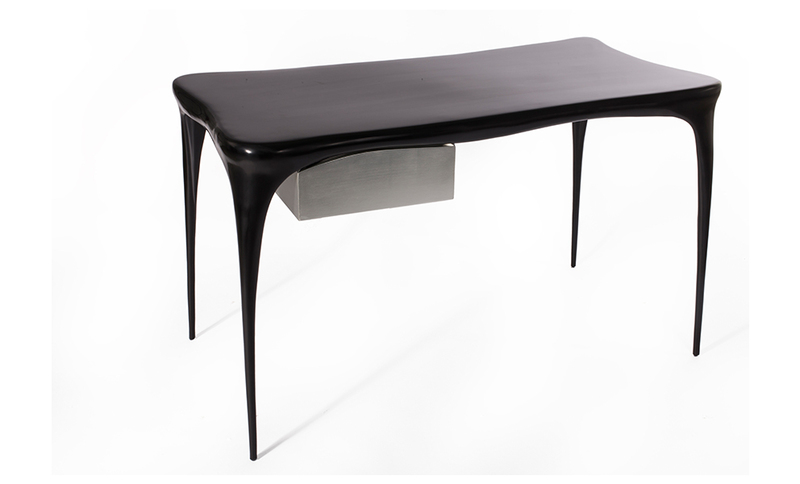 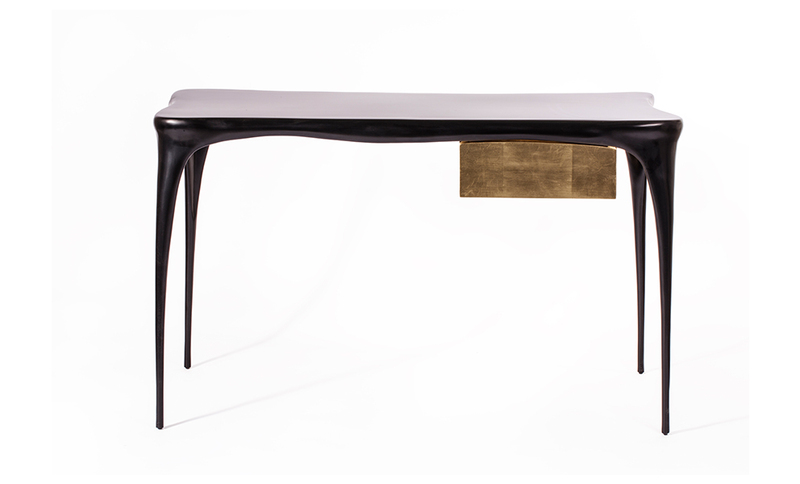 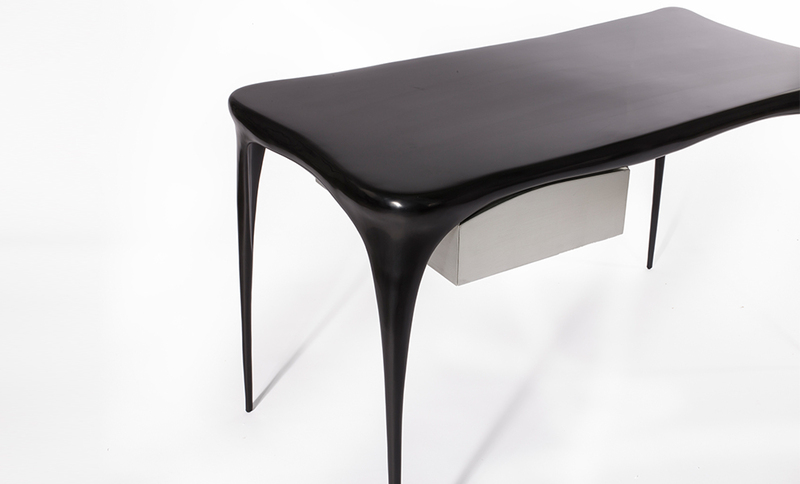 Very sleek and organic anamorphic desk with gilded or silver leafed asymmetrically positioned drawer box. 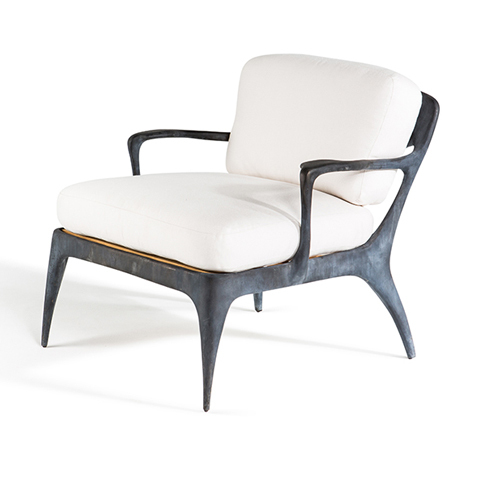 Originally designed upon request for the Sentosa Resort and Spa in Singapore. 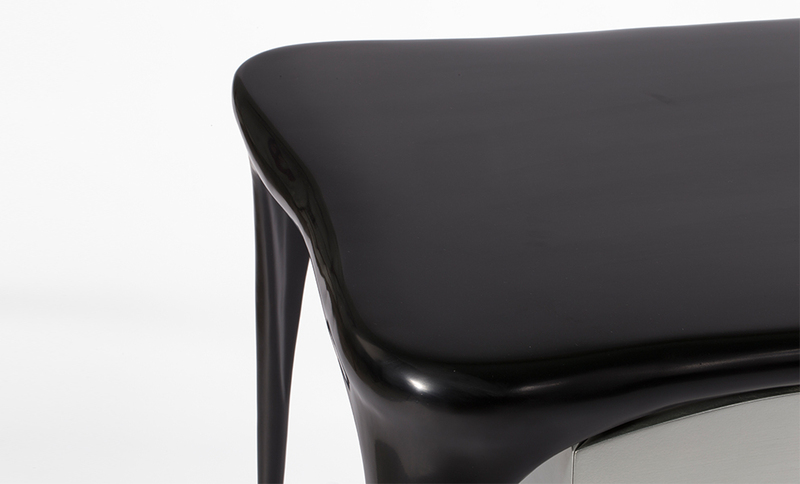 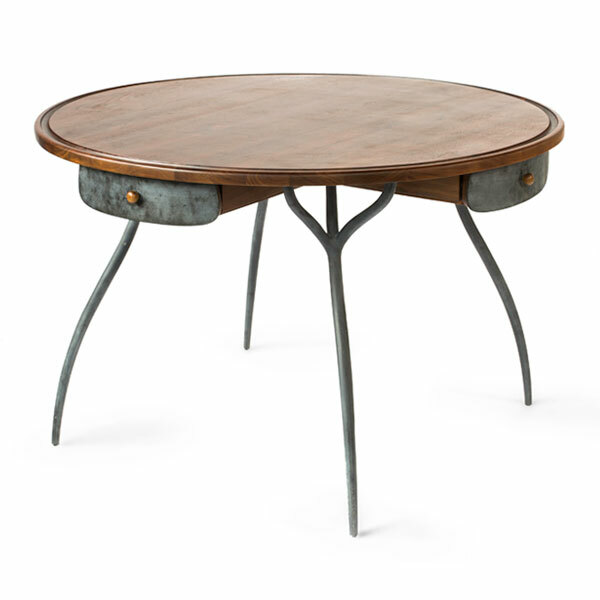 100% recycled aluminium, dutch metal or silver leaf, tough polyurethane lacquer finish. 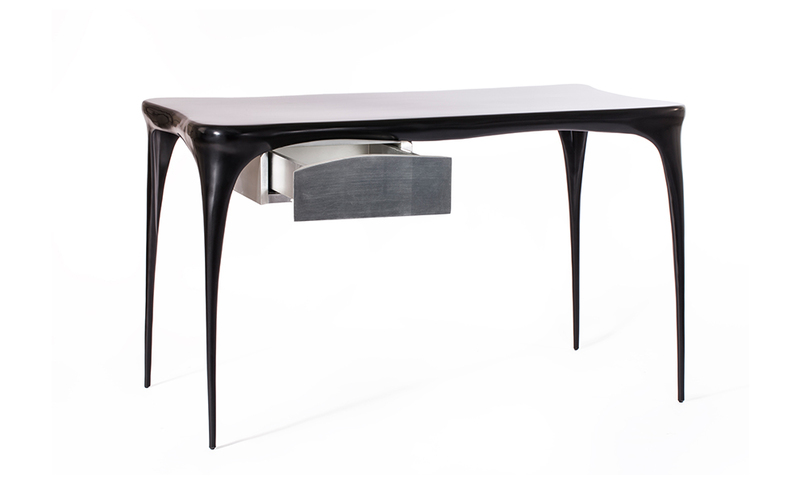 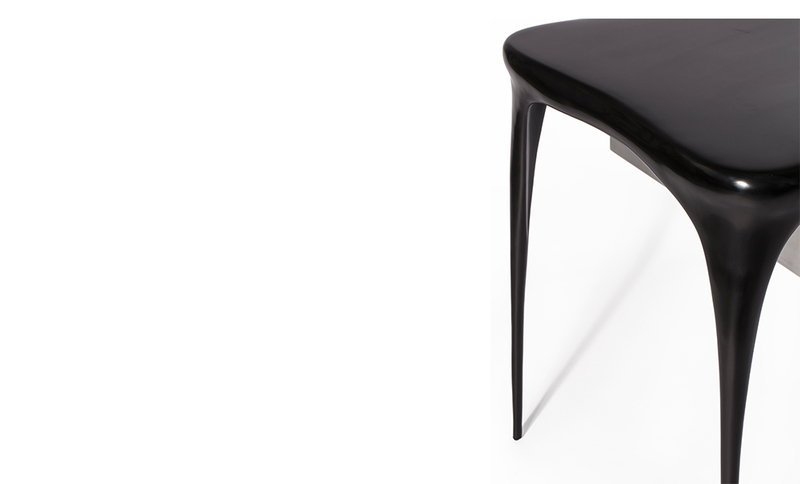 Available in raw aluminium or high gloss black lacquer. 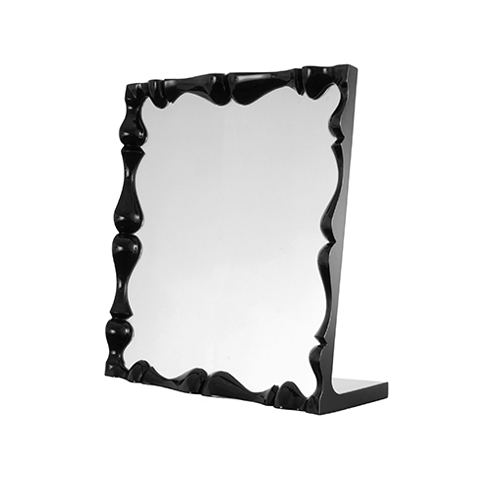 Another new member to the award winning Louis collection, this mirror is designed to accompany the Louis Dressing Table.